In order to make an appropriate choice when it comes to operating systems, all important ambient factors associated with the particular device must be taken into account. Important factors include location, climatic requirements as well as the function to be triggered. "Vandal-proof input systems" have now spread to the most diverse areas of application. These operating elements are chosen for their robust nature and, increasingly, for design reasons, too. The range of products for such input systems is just as diverse as the application areas they are deployed in. There are piezo switches, metal switches with stroke, metal switches with tactility and switches based on sensor technology such as capacitive technology. Within this classification, a combination of the various technologies is also possible. When it comes to considering logistics, a differentiation must be made between devices that are used exclusively inside buildings, those that are located outside but with a covering and those that are outside with total exposure to the elements. Devices which are located outside with total exposure need, in most cases, to be able to withstand snow and ice and thus minus temperatures. 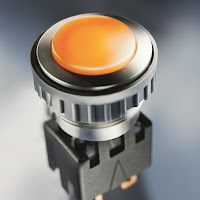 Piezo switches with a completely sealed surface lend themselves particularly well to meeting the demands of devices located outside with no protective covering. When it comes to protecting the device against dust and liquids, the components are specified according to IP protection classes. Piezo switches fulfill a protection class of at least IP67. Metal switches with stroke or tactility on the other hand are designed with varying protection classes of between IP40 and IP67. In the case of metal switches, a differentiation is made between the IP protection at the mechanical level and that at the electrical contact level. When mounting on horizontal or slightly inclined surfaces, a hazard is posed, for example, by unintentionally spilled liquids entering the inside of the switch. If the liquid is a sugar-containing substance such as lemonade or sweetened coffee, the function will become increasingly impaired. The liquid evaporates and the sugar which remains leads to the switch becoming stiff, possibly leading to jamming of the actuator. In order to avoid such impairment, a vertical mounting position should be chosen insofar as the device design permits this. Alternatively, the use of a piezo switch is recommended here, too. The function which the switch should activate is also decisive when it comes to selecting the type of switch required. Frequently, the switches are arranged next to a display and the menu navigation is controlled via the display. An additional possibility for operator guidance is to provide the switch surface with an inscription, either using text or appropriate symbols. Each time the switch is activated, the device operator should receive feedback that the activation of the switch has been acknowledged by the machine.